So I have two computers I work with regularly to accomplish certain tasks. The organization I work with/for recently decided to go with google services. including Google Drive. I had been previously using DropBox and thought that because we were making a corporate switch that it would be good form to move work related materials from the DropBox account to the office Google Drive account - leaving me more space for my personal content in the DropBox account. Currently I can not get my computers to sync. This is a problem. I quit the client and restarted it and the documents synced. One other annoying feature is the advertisements. If there is one thing that Google does do is advertise. 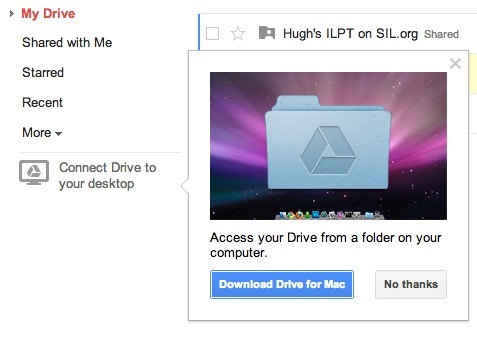 I have downloaded and registered two computers with my Google Drive account, so one would think that Google and all their information sharing capacity built into their terms of service would already know that I know about the local client for Mac but evidently not. This the start of a cross-language archive look at the current state of UX design presenting Content generated in Language Documentation. Is this something which needs to be on the web publicly (as apposed to privately on an intranet)? Is this even a common practice? I am listing a few use cases here to show some of the variety and breadth of the kinds of people who are sharing their logos and providing display and license guidelines to potential users of their logos. Help partners accurately visually display the offering organization’s brand. Help staff have a visible, consistent and authoritative reference point when communicating with partners. Because this conversation with partners is about the partners displaying their affiliation with the NGO it is something which can be facilitated publicly. I go through some of the use cases in the video below. The blog post in that video about teaching in Malaysia can be read here. However, the IBM logo is text based and does not meet the threshold for copyright originalityThis information is what is provided on Wikipedia about the IBM icon used here.. However it is still a logo and covered under registered trade mark rules. IBM Logo accessed through wikipedia. Never-the-less IBM still wants people to use their logo in a respectful manner. To this end they have several pages dedicated to the various kinds of environments that their logos and trademarks might appear in. Rules for the display of the IBM logo for IBM Business Partners from the IBM website. Another organization with a rather popular logo among internal and external users is U.S. military. This would include logos like that of the U.S. Air Force. 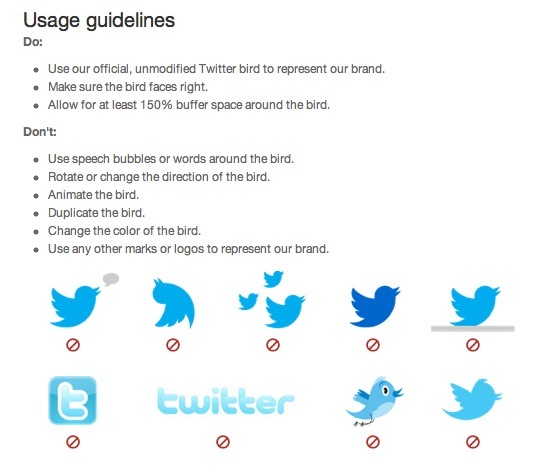 They also have specific guidelines posted for different uses of their logo. As well as a page explaining the symbology of the logo. Apple is another popular company with several programs and logos specifically designed for use by business partners. One of the things which is required in these kinds of relationships is for the organization granting the logo’s use to be firm in their organizational identity. This means: defining the relationship – who is the NGO and who is not the NGO. For some organizations it means defining what items are trademarks, products and logos. The next three brands have a particularly visual representation and presentation of their branding guidelines. 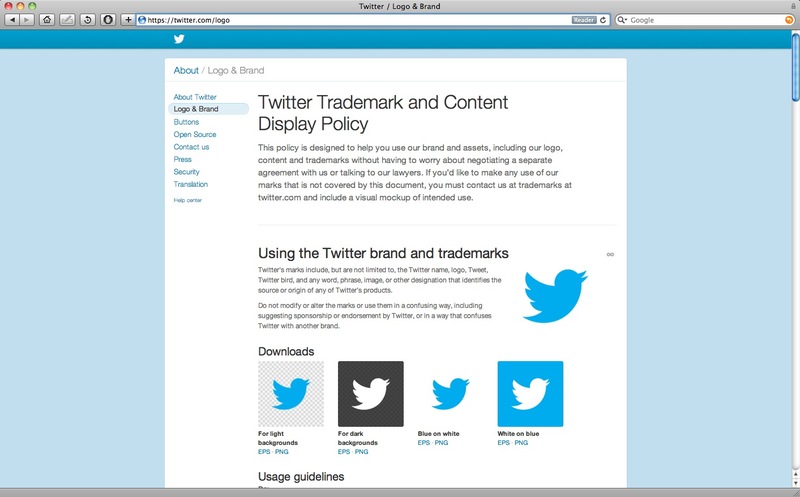 WordPress logos are made freely available under their about section. http://wordpress.org/about/logos While WordPress is an opensource product, it is also a community. About a year and a half ago one there was quite a stir made by Automatic about proper logo usage. The community had some who were less than thrilled with the emphasis Automatic brought on branding an open source project, but in the end even the controversy made the brand stronger. The consistent iconization of the product also made the brand more recognizable. Today the WordPress project has a lot of logo options which conform to established branding guidelines. This gives the community flexibility and continuity at the same time. WordPress logo page visually displays good and bad logos for designers and fans to understand how to display the product’s brand. Adobe is a company whose name is almost synonymous with the term digital art. It is well known for products like Photoshop and for files like PDFs. When we think of PDFs we often think of the Acrobat Logo on the image of a file. Part of this visibility is due to Adobe Icons and Logos which it has made available. 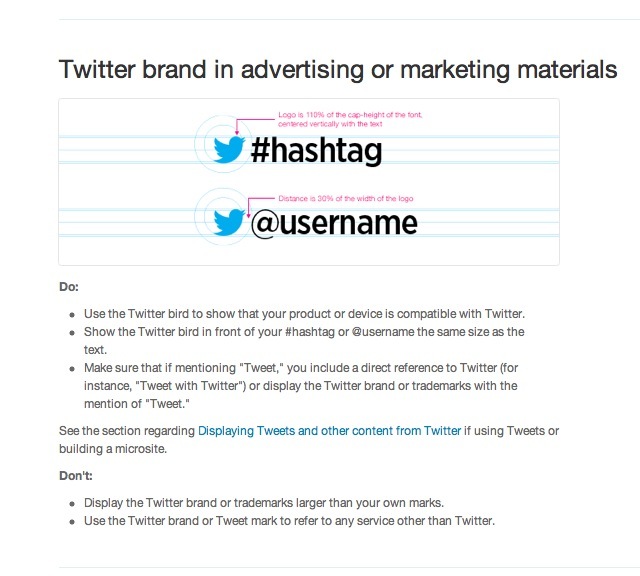 Perhaps my favorite logo explanation is the simple (yet detailed) approach that Twitter has taken on its page Twitter.com/logo. Here are some screen shots. That is not what is the most interesting though. What is interesting is the social networking going on to get all the votes needed. Someone created an Open Event on Facebook. Abbie has about 1700 Facebook friends and a fan page. But by creating an open facebook event other people could envite their friends to the event. So now there are over 11,500 people who have been invited to the event! That is 10 times the number of people that Abbie knows. And this has only been three or four days running. When people respond to the event then there is an option for a personal message. Followed by clear instructions (and links) on the event page describing how to vote. The event has gone viral. That is the point of Social Network Marketing. I wonder if I created an event for my business purposes if it would fly. I only have 500 friends so to reach the 10x number we would only need to send out 5000 invites. You can follow Abbie’s Youtube channel. Last time it was Missions Masters Marriage… but that didn’t work out as planned. It turned out to be Missions Marriage Masters. When we think of the term Marketing we might think of a logo, a brand name or some gimmick to make me want something I don’t need. In some circles, especially the non-profit arena Marketing may have a negative connotation. In the context I am talking about here I am going define marketing as intentional effective communication. Effective communication can have some very positive outcomes and covers a wide variety of communication issues and strategies. As a business professional I need to realize that effective communication can happen. But, if I am not intentional about it, it is not going to happen as often as I want it to happen. This may result in adverse consequences for my business. The point though is that even in non-profit work like missions, to have effective communication one also needs to be intentional about their communication. This intentionalism is strategy. So what is your communication strategy? Lets ask some of the basic W’s. How are we going to get them to listen, think and respond to us? the people watching us, wanting to know what we are doing and why we do it. We need to be aware of each kind of person and talk to them. But, not just talk to them; engage them. So the What which are we going to tell them might change, but what we are about never changes. So even though we might use different stories, reports, figures, pictures, etc. in communication they should all point to the part of us that never changes. This part of a communication strategy requires a bit of introspection. A core of knowledge of who we are and what we are about, and why we are doing it. It is from this knowledge we get our passion to do what we are doing, and challenge others to become part of what we are doing. or it might be the result of not having the right strategy for this group of people (or market). and then I need to make some adjustments to the strategy and apply the new revised strategy.